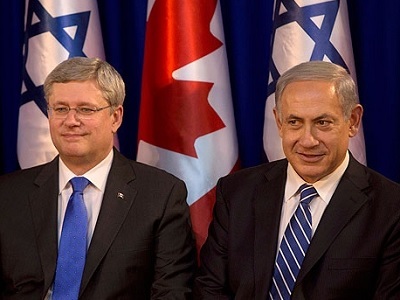 Canada’s Conservative leader, Stephen Harper, spoke today in front of the Israeli Knesset. It was a short speech, beginning with homilies, platitudes, and economic references and then turned towards the righteous values he deems paramount in both Canada and Israel. Notice that he only referenced Jewish Canadians in his speech. There are many Canadians who would consider the statement to be hypocritical if not an outright lie. Courage in war is arguable, considering the overall propensity of Israel to use preemptive attacks on neighboring countries and to use the military to control the occupied Palestinian territories. Beyond that, the Israeli use of chemical weapons (white phosphorous) and other weapons targeted from helicopters, drones, and fighter jets hardly smells of courage. I would wish for some references for their generosity in peace, which may be true if there were a peace to behold. As for the desert blooming under their stewardship is only to buy into the mythological Israeli narrative that the land was empty desert before the Jewish immigrants arrived. The Palestinians had a healthy agricultural society working before the advent of the European settlers. Okay, well and good, but here is a double standard – why do not all the Palestinians, now subject to martial law in the occupied territories and apartheid laws (more on this later) in Israel 48, deserve the same? Well, no, that is not exactly a Canadian tradition, as much as Harper would like it to be. Canada has in most cases followed the lead of the U.S. in world foreign affairs, has aligned itself with the corporate agenda of “free trade”, and is one of the leaders of mistreating indigenous populations abroad for corporate mining rights (not to mention right here in Canada). Oh, okay, yeah, that is not really popular, perhaps convenient. “support today for the Jewish state of Israel is more than a moral imperative it is also of strategic importance, also a matter of our own, long-term interests”. “Israel is the only country in the Middle East, which has long anchored itself in the ideals of freedom, democracy and the rule of law. “They are the things that, over time and against all odds, have proven to be the only ground in which human rights, political stability, and economic prosperity, may flourish”. Anchored in human rights? Oh please…..! 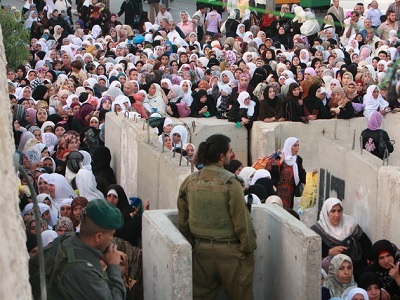 Israel has consistently denied the human rights of the Palestinian people. Their land has been expropriated, annexed, stolen. They are subject to martial law and apartheid law. The “wall” is condemned as a violation of human rights. They have destroyed vast areas of agricultural land, destroyed civic institutions such as hospitals, education, and power generation and not allowed their reconstitution. Israel has assassinated many of the Palestinian leaders and then complained they have no one to negotiate with. They have unilaterally broken ceasefires and then attacked the people of Gaza and Lebanon with overwhelming force (and underwhelming results). “And so, either we stand up for our values and our interests, here, in Israel, stand up for the existence of a free, democratic and distinctively Jewish state or the retreat of our values and our interests in the world will begin”. It is obvious to Canadians, if not the world, that Harper’s implication here is that the Muslim world is the world of evil (as many other right wing Christian dominionists also see it), lacking modernity (whatever that is, they seem to use modern communications and weapons quite well, as well as being able to work their way around the financial parameters of our society – i.e. oil and U.S. fiat reserve currency), and obviously threatening us all. Global polls indicate that Israel and the U.S. are perceived to be the main threats to world peace. A two state solution is possible; it is just that it is overwhelmingly improbable. It would take a true miracle to make the settlers give up their settlements and benefits to return to Israel ‘proper’. The two main remaining solutions are quite different to each other. Mr. Harper finishes with what is obviously becoming a growing concern for the Israelis, that of the appellation of Israel as an apartheid state, and the growing success of the boycott, divestment and sanctions (BDS) movement, both here and around the world. Two things are occurring here. One is the attempt to redefine anti-Semitism as being anyone speaking against the state of Israel for whatever reason. That is simply not a realistic definition. The other is the “Why Israel?” question, referring to the critics that are “ignoring…the violence and oppression all around it.” It is a telling charge in that it implicitly accepts the charges that Israel is racist and apartheid, but why are you criticizing us when so many others are doing the same or worse? I do not selectively condemn Israel, as I am aware of all kinds of oppression and violence occurring in the region and around the world: U.S. attacks in Iraq, Afghanistan; U.S. support of al-Qaeda in Syria and of fundamentalist regimes in Saudi Arabia and the Gulf Coast states; China in Tibet; U.S. covert operations in Africa and Latin America too numerous to label here. The first statement about acting to defend oneself and then suffer widespread condemnation over and over again – is simply the narrative Israel has written for the Palestinians. What follows next is an outright lie, as the instability in the Middle East is a direct result of British colonial efforts to settle Jewish people in Palestine, an effort supported greatly by Canada, and, after the creation of the state of Israel, supported by the U.S. as an outpost against communism and then against the terror that they instigated in the first place by their colonial resource extractive means. Yes, anyone can look beyond Israel’s borders to see the havoc created by the interventions of the European states into the region, artificially dividing it up the fallen Ottoman empire, supporting dictators and demagogues as long as they followed western guidelines, fighting wars to keep those same demagogues and dictators in line when they became a bit too “uppity” for the neo-colonial bosses, to keep the oil flowing, to keep the dollar as the reserve currency, to inflate the vote domestically. Before the final platitudes and gratitudes, Harper mentions the Iranian threat of nuclear weapons. This is readily discounted as a double standard as Israel has an estimated 80 – 200 deliverable nuclear warheads (depending on source) while Iran has zero, and has not in the past several hundred years attacked anyone. It is another threat to create the ‘victim’ attitude that is created to create some sympathy for their own survival and to excuse their own violence against the Palestinians and other Arabs. Mr. Harper does not speak for the majority of Canadians. Unfortunately for the meantime, he holds power in Canada’s parliament and tends to use it absolutely, turning Canada into a petro-state essentially under the rule of corporate rule (as with all are so-called “free trade” agreements). Canada suffers its own apartheid with its indigenous population and Harper’s conservatives are doing their best to further disenfranchise them. These are the values that Canada shares with Israel: corporate control over the economy, and the extraction of resource wealth at the expense of the indigenous people. Harper does not speak for me. Thanks J. Miles. Good article. “Harper does not speak for me.” – Nor does Harper speak for a majority of Canadians. As a Canadian I am ashamed by this moral reprobate.